Heathrow Airport is easily accessible from nearby London and the south east, and all over the UK by both private and public transport. Explore the options below to find out which method of getting to Heathrow is best for you. You can often make big savings when you research which method of travel you would like to use and book your tickets online. Transport providers will sometimes reduce prices for those who book early, so it is definitely worth sorting out transport to and from Heathrow Airport in advance and it saves a lot of hassle too! Travelling to London Heathrow by car can be a great option. If you have your own car there are plenty of cheap airport parking options to choose from. If you have an early morning flight or would rather be closer to the airport the day before your flight the most hassle free option is to book an airport hotel. Check out hotels near the airport to book your stay, or find out more about parking at the airport. Heathrow Airport is easily accessible by car from the M4 which is connected to the M25 motorway and so to the whole country. 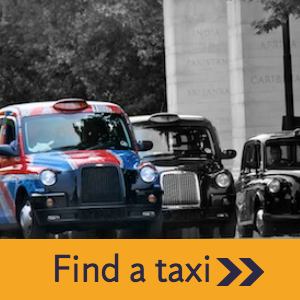 You can find out much more about how to get to Heathrow on our Heathrow Maps & Directions page. National Express coach services operate out of the Heathrow Airport Central Bus Station, to and from central London (Victoria), and destinations all over the UK. The central bus station is located between Terminals 2 and 3, is open 24 hours and is well sign posted. It is a few minutes walk from the terminals via underground walkways. From Terminal 4 and 5 you can catch a free Heathrow Connect or Heathrow Express service to the Central Bus Station. The travel centre at the Central Bus Station opens from 06:00 to 22:30 and provides full details of all services. National Express is the only direct connection between Heathrow and other airports and runs 100 services a day. They also operate a Hotel Hoppa which serves 21 hotels around Heathrow Airport for just £4 each way door to door, from all terminals and the Central Bus Station. Passengers travelling in a group can make significant savings, 4 passengers travelling together can save on average 25% on standard fares on selected routes such as Heathrow to and from Birmingham, Bristol, Cardiff, Coventry, Newport, Swansea, Warwick or Wolverhampton. It is worth booking in advance and purchasing your tickets online, to take advantage of the discounts they could offer. RailAir operate a dedicated coach service which runs non-stop from Reading Station to Heathrow Airport. This coach service departs from Reading station every 20 minutes (or up to 30 minutes in the early hours of the morning) and travels to terminals 1, 2, 3 and 5. Passengers needing to get to and from Terminal 4 can get a free transfer between terminals using the Heathrow Connect train which runs every 15 minutes. Standard ticket prices start at around £18 for an adult one way, depending on the type of ticket, although online ticket prices are often cheaper. Group discounts are available with 8 or more people travelling together which can save adults over a third and children half the price of a regular fare. If you book in advance you can often get “early bird” discounts. Wheelchair users are asked to call RailAir prior to making a booking in order to assure a coach with appropriate facilities is available. Taxis are a great, hassle-free and convenient way to get to the airport. There are over 600 taxi companies serving Heathrow airport and the surrounding areas, many of which specialise in airport taxis and can offer great rates. Find cheap airport taxis near you and get hold of a Heathrow Airport Taxi Quote. The listings include contact details and a description of each company’s services to help you book a taxi to suit your needs. If you contact them and book in advance the trip is usually cheaper than getting a taxi on the day. There are many services that offer shuttle transfers between Heathrow and your chosen London hotel. Often these are offered by the hotels themselves, so if you are needing to get to a hotel with a transfer or shuttle bus service offered then you might find it useful to check out hotels near by and book a Heathrow hotel that offers a service such as this to make your journey easier. Alternatively, National Express offer a Hotel Hoppa transfer service. Shuttle buses are provided to and from Terminals 1, 3, 4 and 5 and tickets can be bought from the Heathrow Hoppa Hotel website. There is a Railair service operating to and from London Heathrow Airport providing links to stations in Feltham, Reading, Woking and Watford Junction. Rail information and ticket desks are in the arrivals areas of all five terminals. Train times, cheapest fare finders and discounts on UK attractions can be found from thetrainline.com. Booking in advance with the Trainline can save you an average of 43%, as opposed to booking at the train station. So it’s worth getting your tickets sorted online today! Using thetrainline.com means you can know train times and route options well in advance of your trip. You can also choose slightly different route options that might take slightly longer but can save you even more money off your ticket. Book in advance to make sure you secure a great price. There are major train operators linking London to the rest of the UK including: East Midlands Trains, First Great Western, London Midland, South West Trains, Southern Trains, First ScotRail and Virgin Trains. Speaking of rail travel, have you heard of Rail Europe? They offer one way or return tickets all over Europe for great prices. Whether you fancy a jaunt to Rotterdam or want to plan a rail adventure across the continent, you’re sure to find an option to inspire your next trip! Trains leave from London St Pancras which is just 45 minutes from the Heathrow T2 & T3 train station. 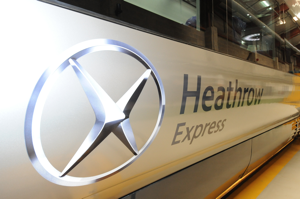 Heathrow Express is the fastest way from Heathrow to central London. Their non-stop trains speed you from terminal to city centre in just 15 minutes. Experience airport transfers the easy way, with departures every 15 minutes and tickets available online or on your mobile phone. Leave your luggage in the ample racks near the doors and relax for your journey in one of our comfortable, spacious seats. In First Class you’ll find even more legroom and a personal table to work from, as well as free newspapers and magazines. Their wireless internet service is free throughout the train, throughout the journey. Need to make a call? You’ll find an uninterrupted mobile signal throughout your journey, even when the train is in a tunnel. Their on-board Express TV service brings you up-to-the-minute Sky news, weather and entertainment clips, as well as useful information about your journey. Every train has a Quiet Zone carriage where the TV is switched off and passengers are asked to use phones and personal stereos considerately. There’s no step on a Heathrow Express train. Level platform access means no struggling with luggage and easy boarding for wheelchairs (there are dedicated wheelchair areas throughout the train too). You can book your Heathrow Express tickets in advance with thetrainline.com. Heathrow has three stations on London Underground’s Piccadilly Line, one for Terminals 2 & 3, one for Terminal 4 and Terminal 5. Heathrow Terminals 2 and 3 station is located between the terminals, only a few minutes’ walk via underground walkways. Terminal 4 and Terminal 5 stations are situated in the basements of the terminal buildings. The average journey time to central London is about 50 – 60 minutes. Tubes run every five minutes at peak times and every nine minutes at off-peak times and weekends. It takes an additional five minutes to reach Terminals 2 & 3. These times are subject to change – it is normally advisable to check with London Transport before travelling. During the night, the nightbus “N9” connects Heathrow with central London every 30 minutes, so don’t worry if you’ve got a flight at a funny time! Full details of timetables and fares are available from Transport for London. The stations for Heathrow Terminals 2 and 3 are in the central area between the terminals and a few minutes’ walk from them via underground walkways. Terminal 4 and Terminal 5 stations are in the basements of the terminal buildings. All stations are in Travelcard Zone 6.